Say good bye to city cramp, and HELLO to country! 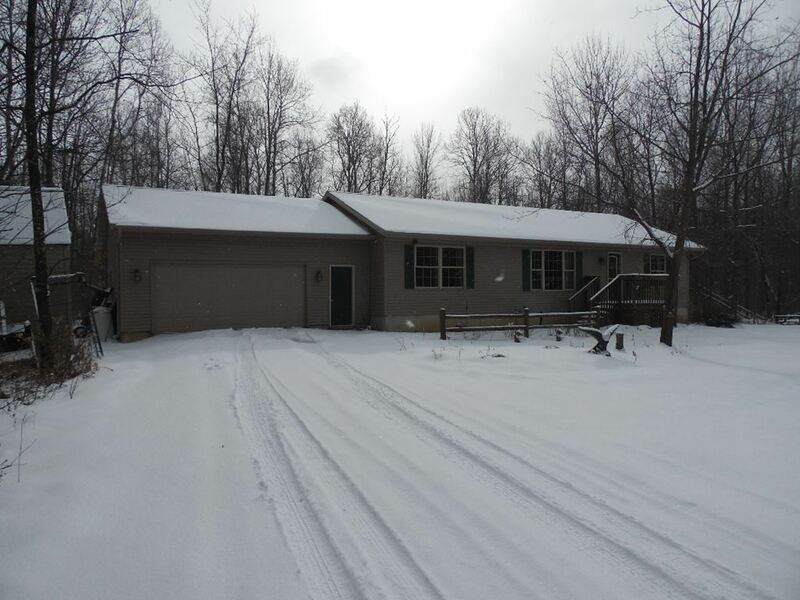 Nicely wooded 10 acre parcel, with this ranch style which is only 13 years old!! Four bedroom, 2 bath, main floor laundry and room to expand in the lower level with more bedrooms, family room or office. 2 car attached garage, plus a storage shed. So come on out and enjoy nature romping in your back yard! Forth Bedroom is in lower level and needs flooring to finish. Basement is also plumbed for 3rd bath. The woods have trails, and there is a seasonal creek.